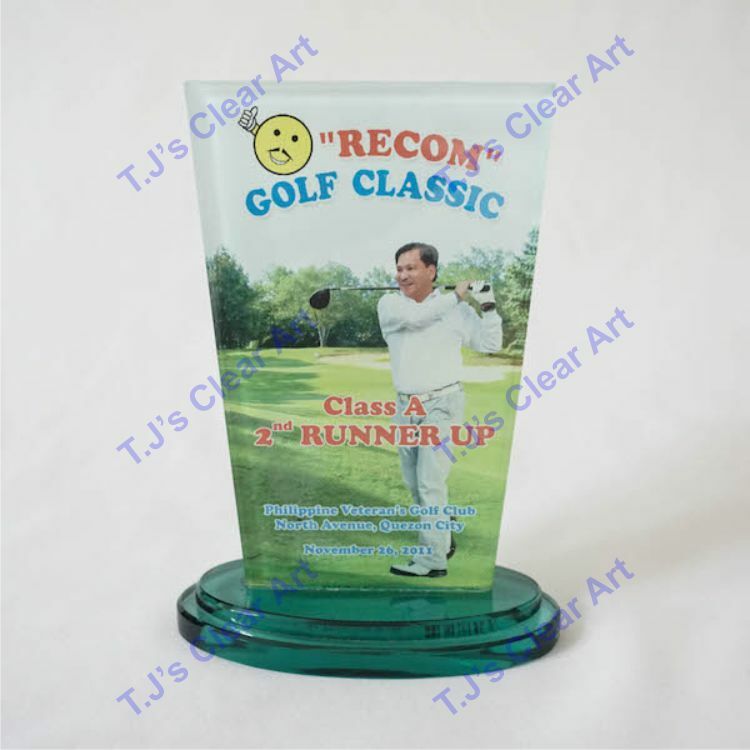 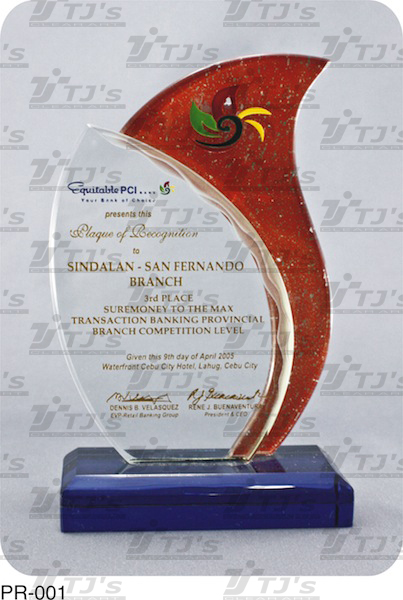 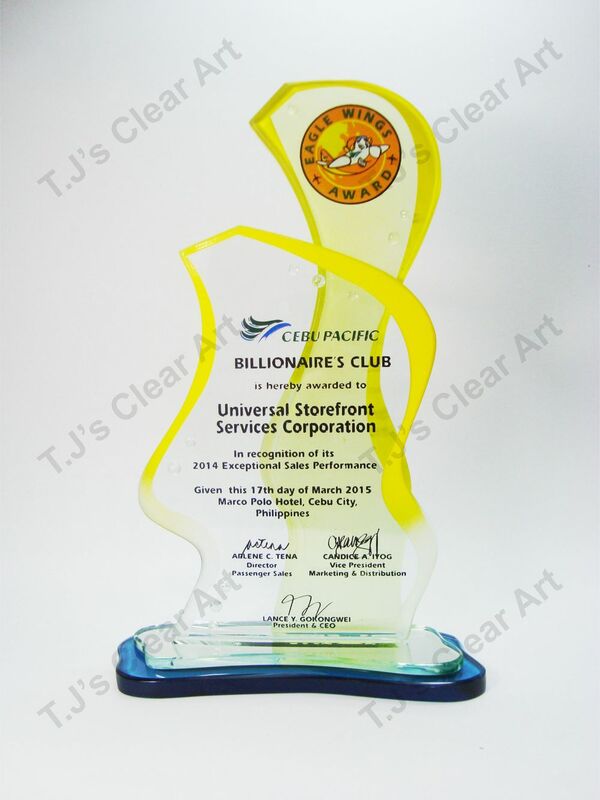 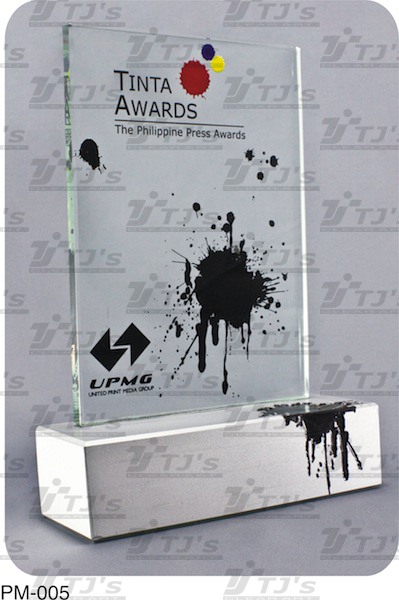 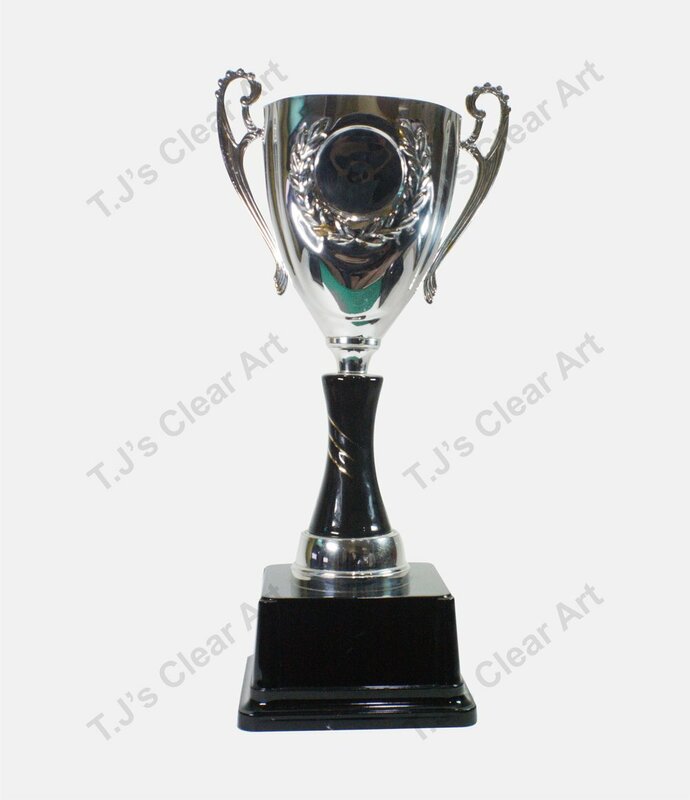 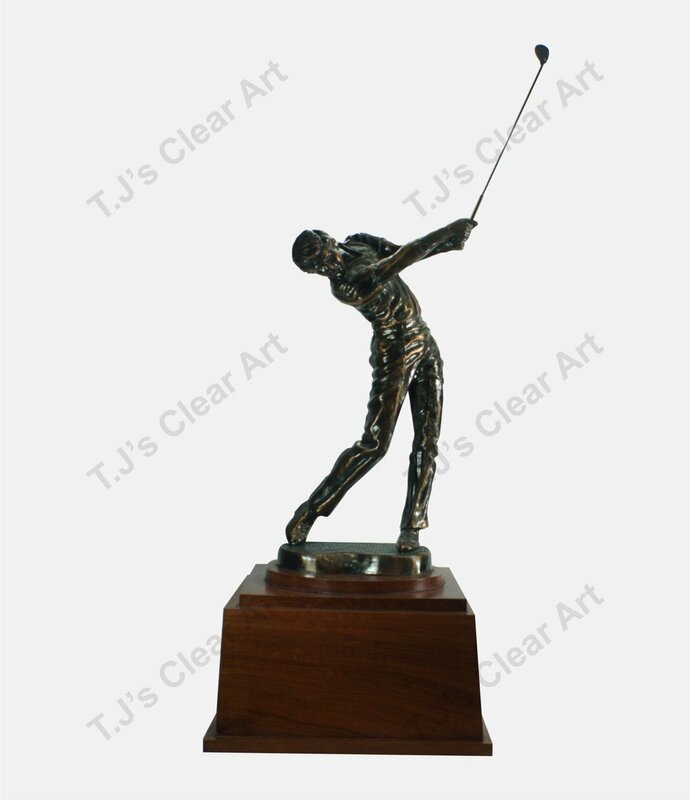 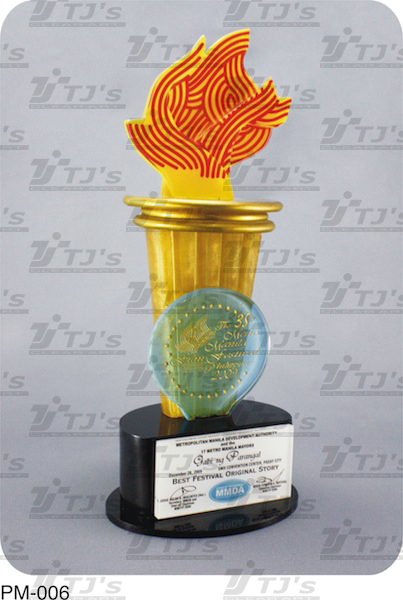 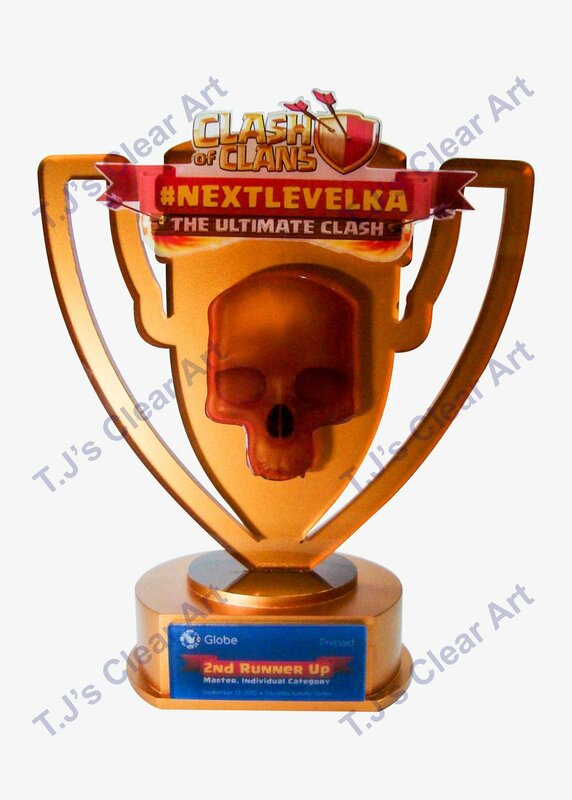 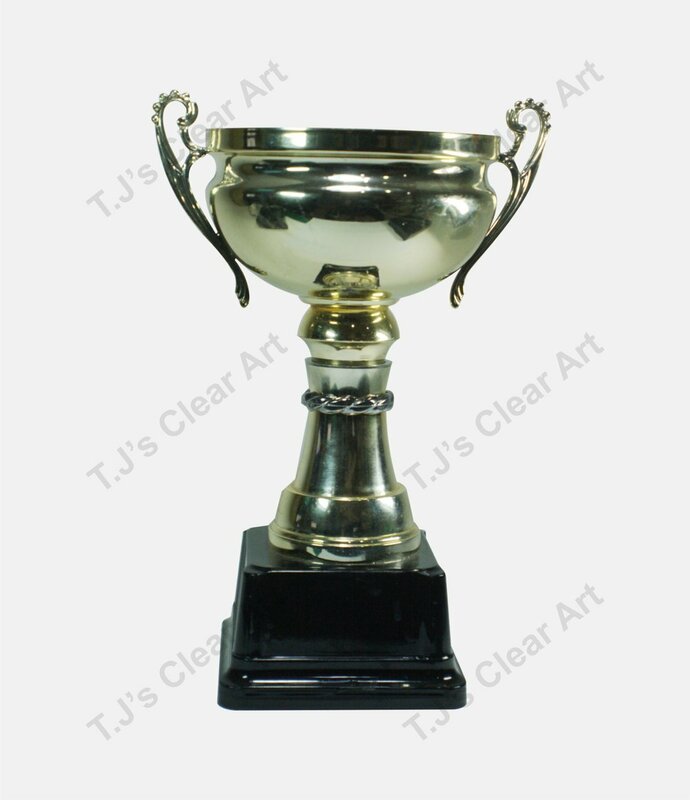 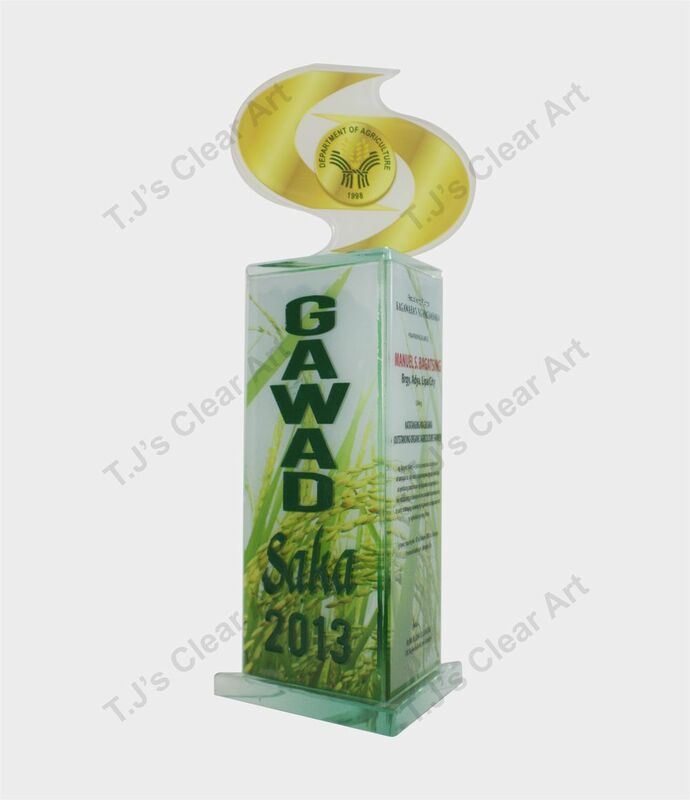 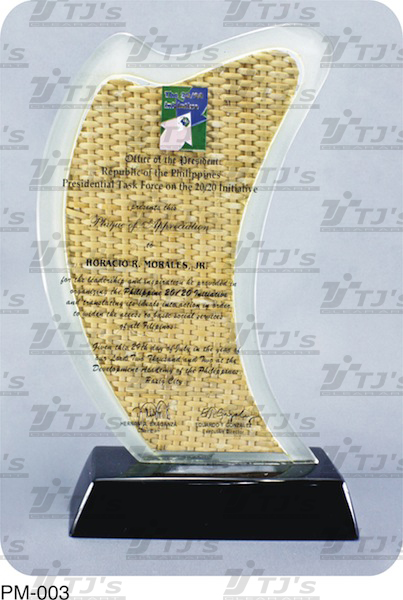 We make trophies made from glass, crystal, acrylic, resin, metal (brass), wood, stone, and tiles. 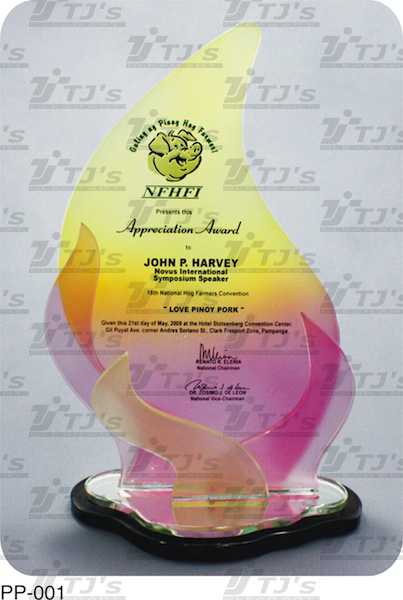 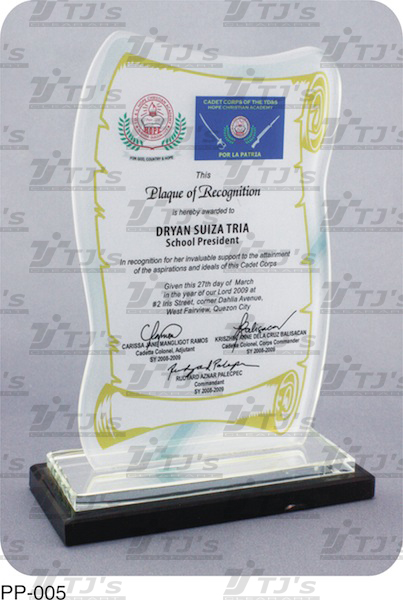 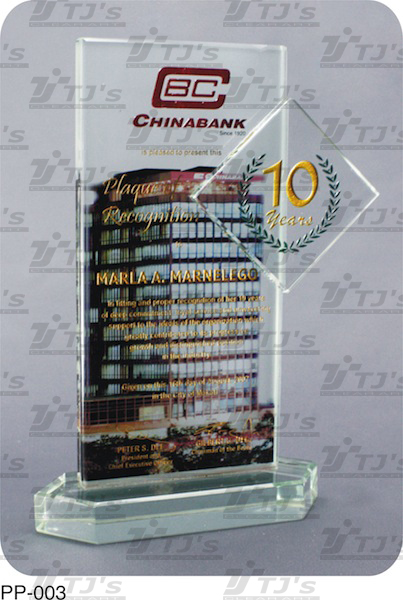 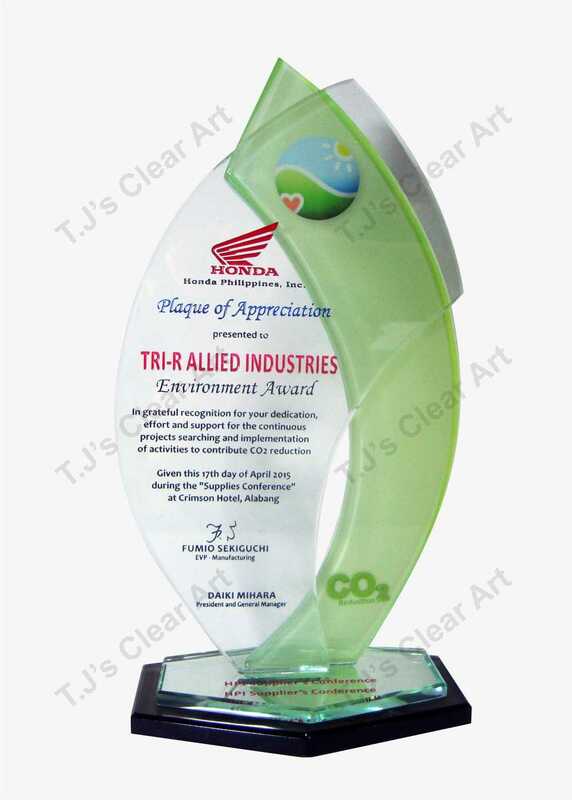 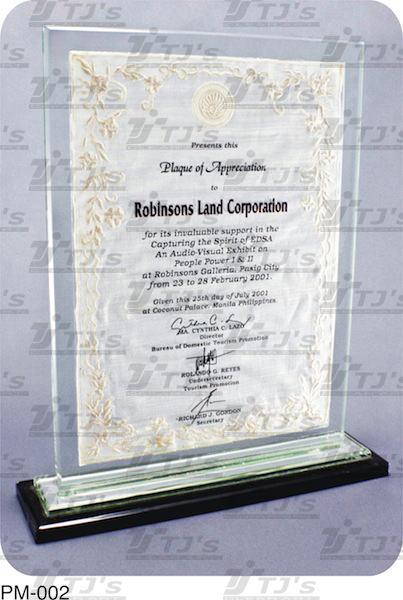 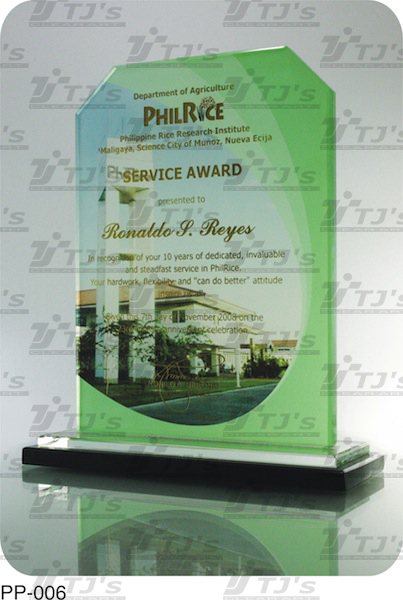 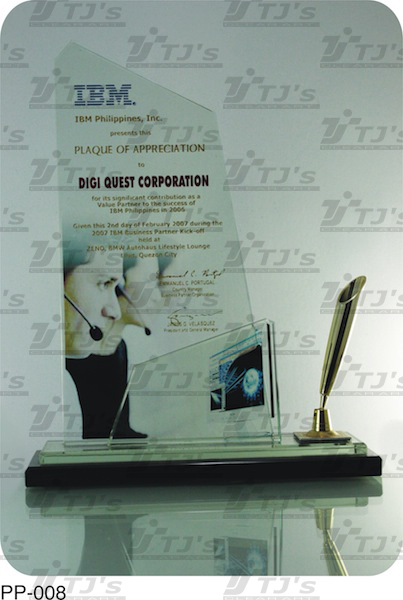 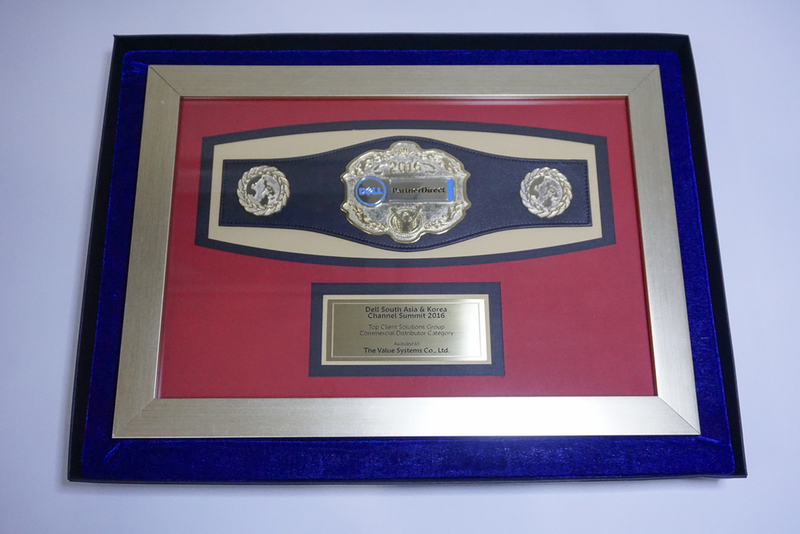 We make plaques made from glass, crystal, acrylic, resin, metal, wood, stone, and tiles. 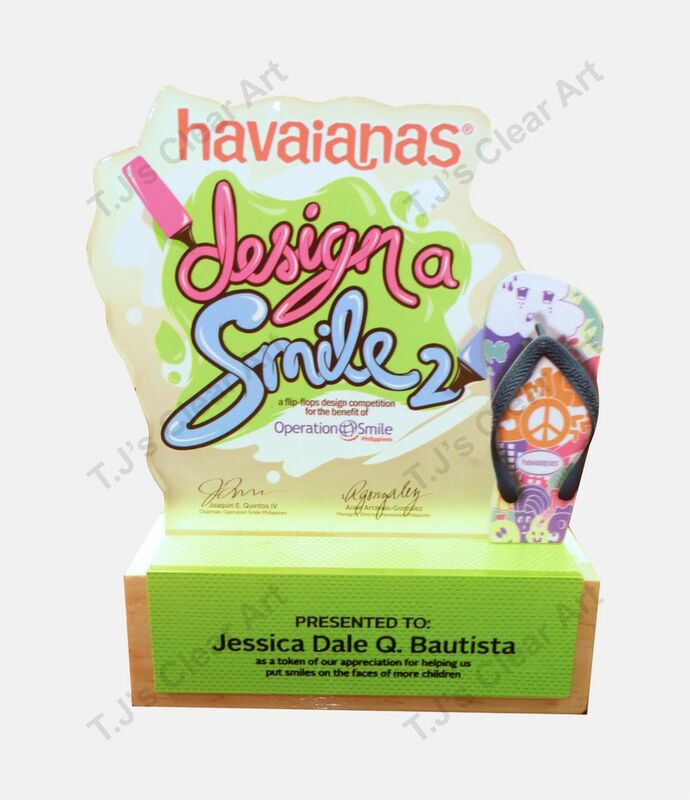 ALL DESIGNS ARE COPYRIGHTED BY TJ'S CLEAR ART.